Jewelry is always a wonderful gift for the woman in your life. If you’re wondering what kind of piece to get her, think about bracelets. Bracelets make for a great “safe” gift: They’re beautiful, they mesh well with most fashion styles and you don’t have to give it to her on a bended knee. There is evidence that people in ancient Egypt, Mesopotamia, and China wore bracelets. Bracelets were made of gold and silver, and adorned with stones and shells. Pay attention to the kind of jewelry she already wears. Does she favor certain types of metals? Is she a die-hard fan of platinum or does she like to wear a mix of rose-gold and silver pieces? Does she love diamonds or colored gemstones? Are her style choices bold and flashy or understated and subtle? In the 19th century, bracelet chains became stylish, and they linked cameos and medallions decorated with ivory and coral. Fashion jewelry became mass-produced and more affordable in the 20th century. If you’re keeping up with style, you might want to have multiple bracelets for layering this year. Don’t be afraid to mix silver and gold, or other metals. Feel free to layer a gold bracelet with a silver one, or a bronze bracelet with a steel one. The Gold Bracelet is sure to never go out of style with its classic allure and timeless silhouette. Perfect for all ages, the link style is an excellent addition to your wardrobe. 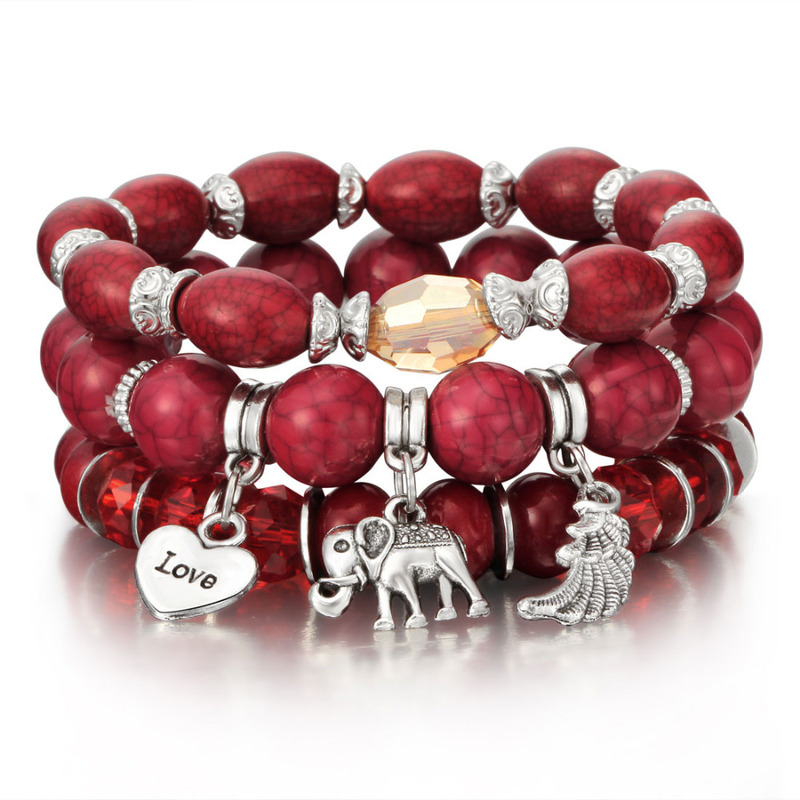 Looking to add one-of-a-kind bracelets to your jewelry collection? Shop our designer bracelets now!